NEW YORK (AP) — NBC News’ decision to pass on Ronan Farrow’s investigation into Harvey Weinstein’s alleged sexual misconduct is an open wound, with Farrow and one of Weinstein’s accusers criticizing the network’s latest explanation and President Donald Trump chiming in Tuesday. NBC News Chairman Andy Lack sent a lengthy email to staff members Monday evening outlining last summer’s decision to pass on Farrow’s reporting. He said his story wasn’t ready to be aired at that time, and that NBC had done nothing to block his reporting. Meanwhile, Farrow’s former investigative producer called on the network to agree to an independent investigation of its actions. Farrow had tweeted overnight that Lack’s statement contained several false and misleading statements — in particular Lack’s claim that Farrow had no women ready to publicly identify themselves with their accusations. NBC countered on Tuesday that a script of a Farrow story was never reviewed or approved by NBC’s legal department. NBC had no comment on Trump’s tweet. One of Weinstein’s accusers, Emily Nestor, issued a statement that she had done an interview with Farrow while he was at NBC where her name wasn’t revealed, but had been discussing with him the possibility of being added as a named source. She said another woman had also been willing to be identified in the story. NBC said if Nestor had made such an offer then, it was news to them. She said it was shameful to impugn Farrow’s character or conduct in working on the story. 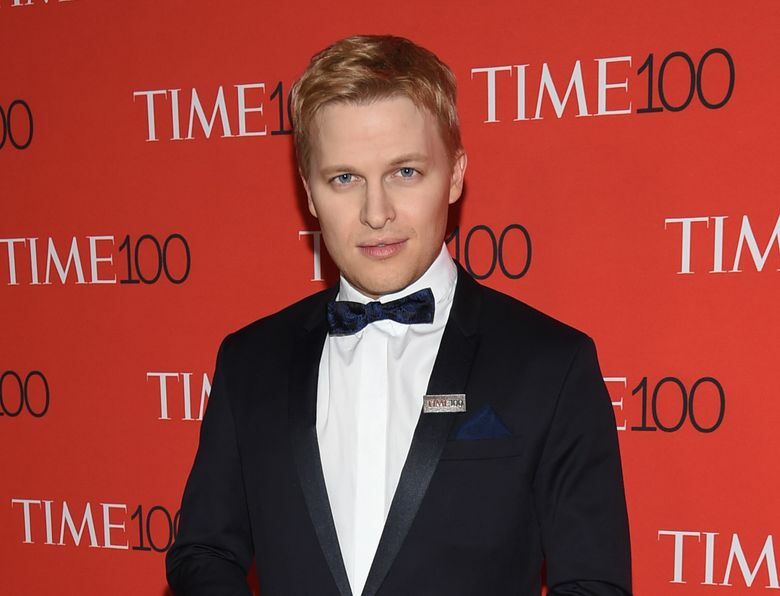 The unusually vitriolic argument between NBC and a former reporter isn’t likely to go away soon; Farrow is writing a book about his experiences working on the story. The embarrassment of missing out on a scoop lingers, too. NBC explains its decision to let the story go was because of major disagreements with Farrow and his team. The network also points out that other news outlets had tried and failed to get the Weinstein story before it finally came out. Rich McHugh, Farrow’s former investigative producer who has been speaking out against NBC News since leaving his job at the network last month, called for an independent investigator to look into the dispute.